Want to know where the best and most diverse from shore snorkeling spots are in Grand Cayman? Detailed Snorkel Guides and interactive maps for some the the Caribbean's best snorkeling are compiled here for your reference. Follow the adventures of Testudo, as he explores the off the beaten path areas of Grand Cayman few visitors ever get to witness. Click the link to view the shore snorkel locations and other sites on Grand Cayman in a larger interactive map. Not exactly sure where that hidden entrance is to Barefoot Beach? route location details for many of the areas mentioned in my guides. Have not yet tested myself, but hope to confirm its efficacy soon. the Garmin North American map sets. Please Note: The Safari Browser may append a .gpx file to a .xml. Firefox and Chrome will not. Grab your Garmin and Go! donating via the PayPal button below. You can just think of it as buying me a nice ice cold !!! Chef Ron, from Tukka, posted this video on his restaurant's FaceBook page. He almost had a more exotic dish than Lionfish on his menu, or would he have been the one on the menu? I came across a few posts promoting this new "social" dive and snorkel site for Cayman. It has great hi-quality video and briefly outlines some of the dive and snorkel sites on Grand Cayman. Currently the site is more dive-centric than snorkel focused (what else in new), but looks like it it has the potential to grow into a very useful resource. Definitely worth checking out. While relatively new to spending time on the little rock that is Grand Cayman, I am eager to explore every inch she has to offer. In my short time snorkeling Grand Cayman's crystalline waters and taking in the sights, I have developed a deep respect and reverence for the natural world contained within her boundaries. Hopefully by building awareness of the people, places and things that are often overlooked or unknown, the hidden side of Cayman will be just a bit more visible for those willing to look. So for those willing to leave the travel magazine and guidebook world of Grand Cayman behind...I hope to help you find the best snorkeling on Grand Cayman and some other unique spots I have come across; plus provide some advice on what you can expect once you get there. Hopefully you will be armed with both the knowledge and inspiration to seek out some of the places I find special; should you ever visit this piece of snorkeling paradise. If you have found the information on my blog to be useful, please consider donating in place of buying me a nice ice cold ! For a view of what living in Grand Cayman is like from and Ex-pat's point of view, check out MICHOS' BLOG. My passion is snorkeling. I have had the privilege to be able to visit some of the best snorkeling locations throughout the Caribbean and Hawaii; bearing witness some truly fantastic natural sights. Snorkeling Grand Cayman's waters rank up there with the best I have experienced in the Caribbean. To find these most rewarding snorkel spots, you just need to know where to go and be open to exploring. 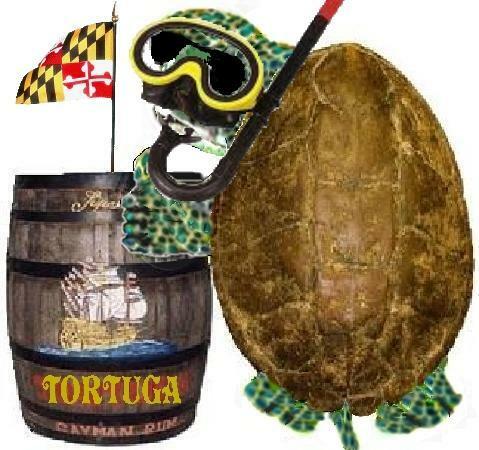 © 2011 Testudo Guides, LLC. Theme images by sbayram. Powered by Blogger.